There are times when our minds aren't ENTIRELY focused on the dearest little guy in the world (Graham :-) See posts below)... or on snowboarding (that would be Connor...), or on the endearing-yet-exasperating puppy, Polly. 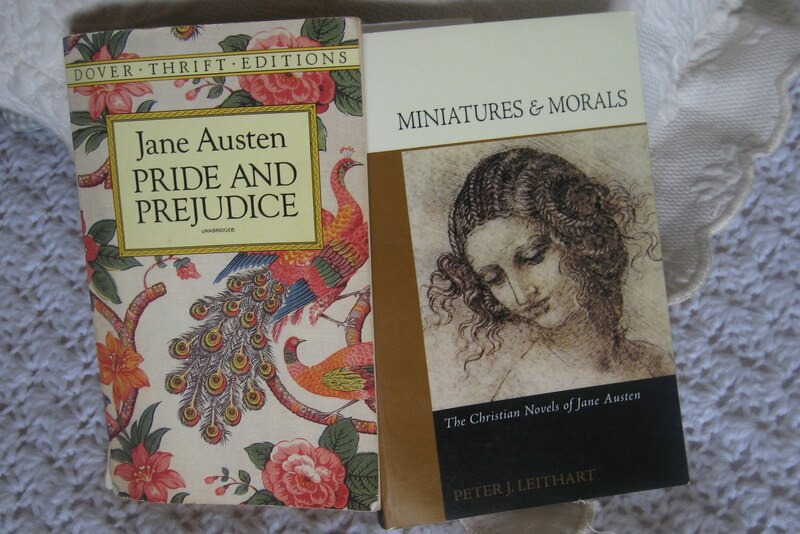 We do manage to have other thoughts, many of them related to books we're reading. So, I thought I'd share some of them below. 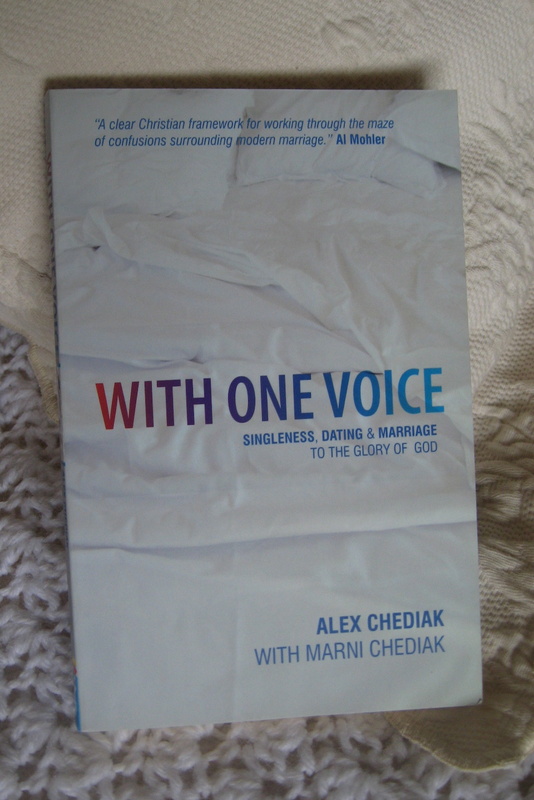 I was drawn to this book (above) when I saw it recommended at the Westminster Bookstore online. So I was interested to read J.I. 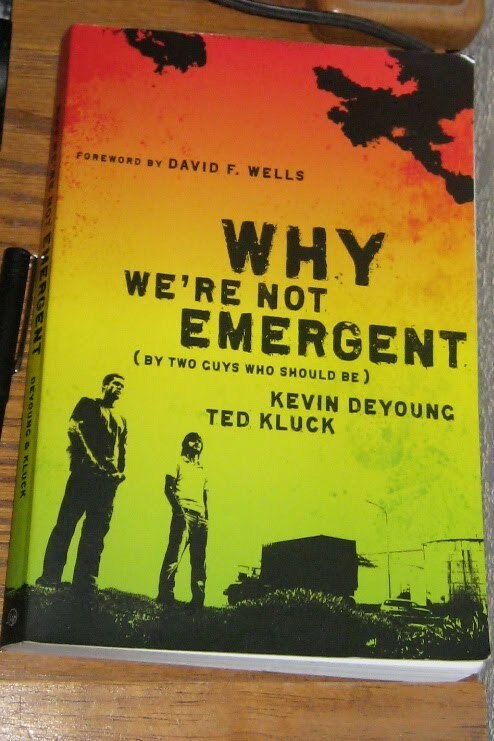 Packer's thoughts on this book: "Two young men, a pastor and a layman, here critique the criticisms of the institutional church that are fashionable today. 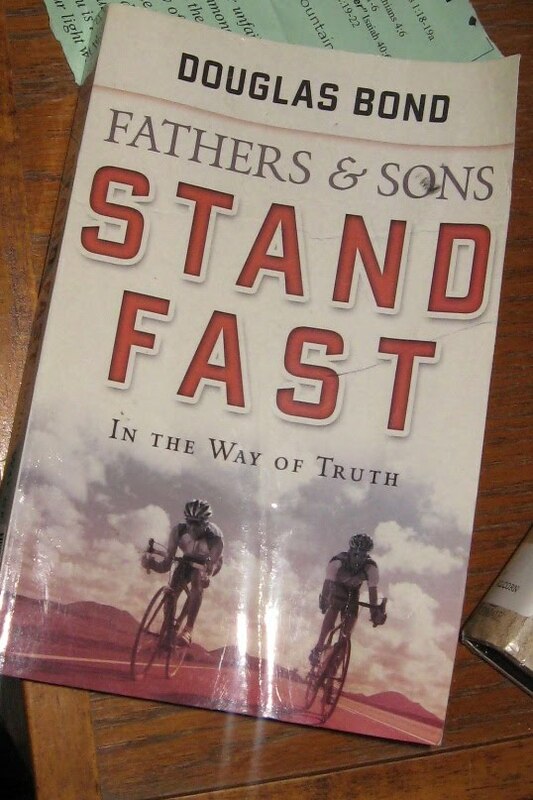 Bible-centered, God-centered, and demonstrably mature, they win the argument hands down. As I read, I wanted to stand up and cheer." It's good to know, too, that the authors, under a section entitled, "The Church Has Issues," write, "How should we handle these criticisms? Well, it's always a good idea to start by listening." 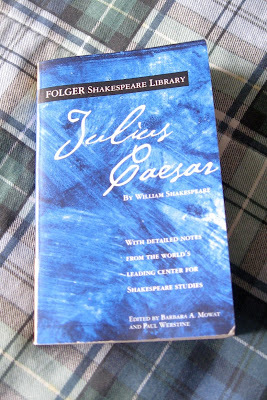 And tho' we've been at this one *forever* (how do so many things crowd out read-aloud time? 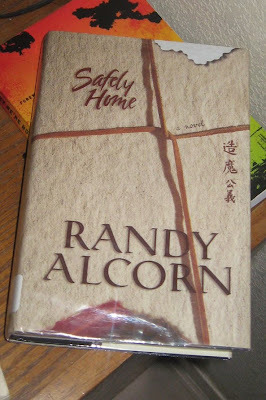 ), we're coming right up on the climax and end of Safely Home. 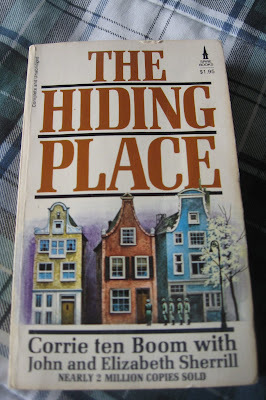 After seeing an excellent live performance of Ballet Magnificat's rendition of The Hiding Place, Kaylee and Connor took up these books again. 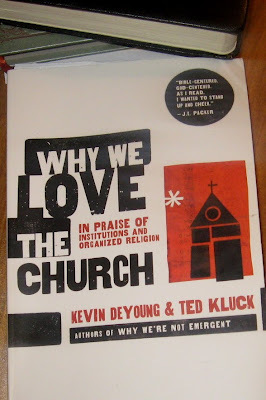 It's good to be reminded of and challenged by such vibrant Christianity. 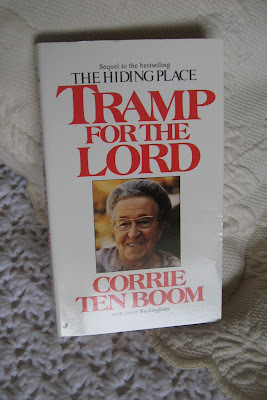 (Kaylee did have a "cautious" thought about the Tramp for the Lord book. She felt that perhaps the stories that are told don't give a complete picture of how to follow the Lord on a day-to-day basis, with a prominence instead given to "miraculous leading" as compared to the more mundane, but none-the-less rigorous and Spirit-enabled daily obedience.) And, by the way, if you ever get the chance to see Ballet Magnificat, GO! Our good friend, Samantha Harikian, has just been accepted into their training program in Jackson, MS and we're SO excited for her. God-honoring and masterfully executed ballet. Amazing! 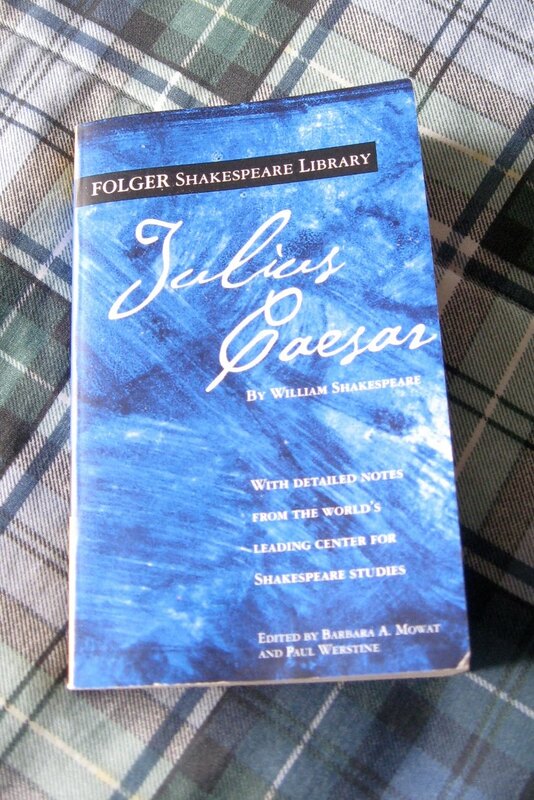 We were deeply moved by the performance (which seems a shallow word - "performance" - for what we witnessed). I got this devotional book for Kaylee at Christmas, and she's really appreciated it. 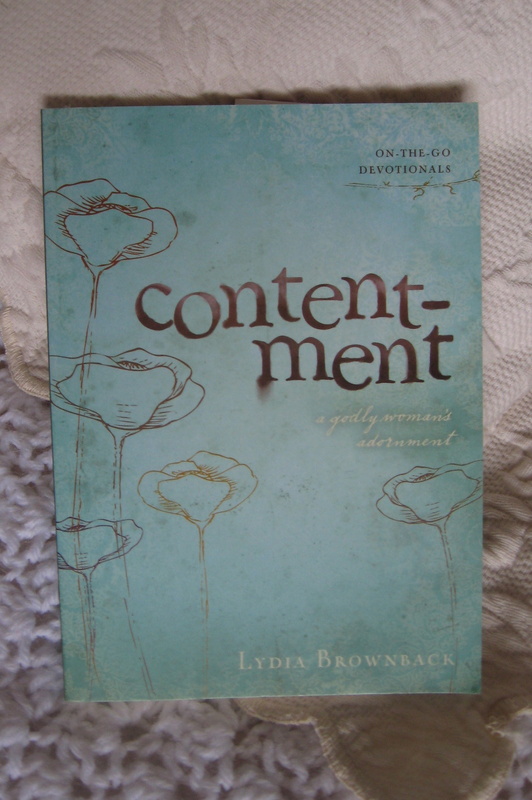 She's had a go at Burrough's "Rare Jewel of Christian Contentment" (ah, gotta love the Puritans who wrangle every ounce of meaning out of every word, including the conjunctions!). 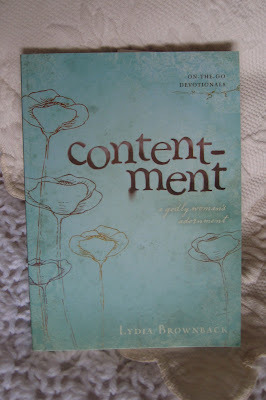 This Contentment book was a little less tedious :-) yet rich and refreshing. (Again, a recommendation from the Westminster bookstore http://www.wtsbooks.com). Had to add this, too - cuz it's so pretty sitting next to Kaylee's bed. From Grandma and Grandpa McCracken for her birthday. 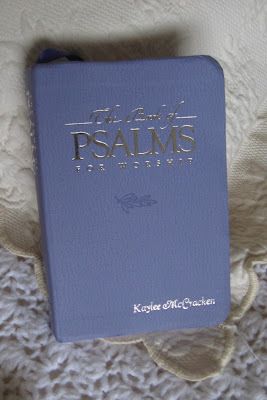 The newest edition of the Book of Psalms (which we sing from at our church) in mini-form, making it easy to take along anywhere (in case you want to break into song at Winco :-) Available at www.crownandcovenant.com. Ooo . . . so many goodies! Thanks for sharing!